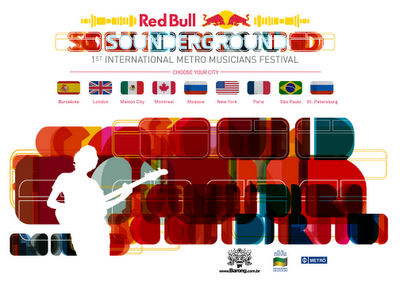 Red Bull held in November the First International Metro Musicians Festival in 2010 (I Festival Internacional de Músicos de Metrô 2010). They are recruiting musicians and band who are interested in attending the event. 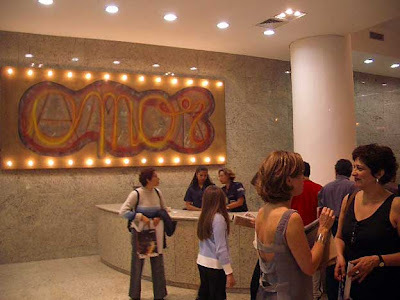 To participate in the selection process you have to be amateur or professional musicians, older than 18 years, individually or in groups of no more than three musicians living in the city of São Paulo. You have time until September 15. Hurry up, it's a big chance! 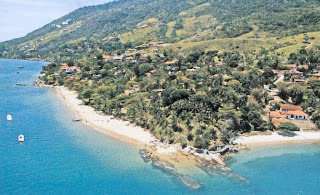 Do you know Ilhabela? It is a nice island close to Sao Paulo, a good optin to spend the week end. 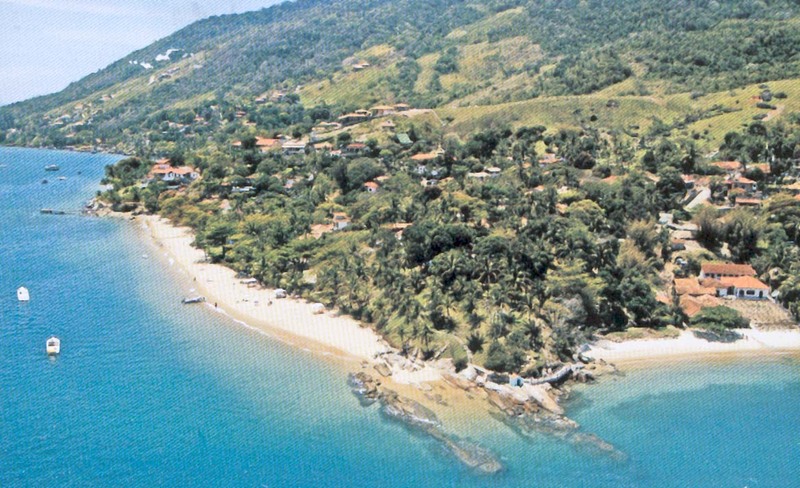 The 205 years anniversary of Ilhabela will be celebrated with the 15th Shrimp Festival week, with various activities throughout the island, between August 28 and September 28. 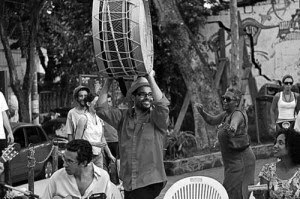 As part of the program you can find varied styles of musical performances, workshops, parades and competitions. Among the highlights are the rapper Thaíde, who performs September 6 at 9 pm, he will be also commemorating the World Day of Hip Hop; the singer Frejat who will remember the successes that have marked his career, on the 18th at 10 pm. Every day, around 4:30 pm, the Mosteiro de São Bento (Monastery of St. Benedict), in the center, is wrapped in a sweet aroma. The smell is coming from the ovens of the bakery, located on the lower floor of the building where the monks prepare their traditional breads, cakes and desserts. A mixture of honey, almonds, chocolate, cinnamon, apple and brown sugar, invades rooms, music rooms and cafeteria. From this Sunday (August 29th), this celestial moment can be enjoyed not only by the smell, but by the all five senses. Delicacies prepared by the monks will be served at a brunch in the historic building. Created in 2007, the event, which had no defined periodicity, eventually vanished from the calendar of activities of the Benedictines. It now returns, scheduled to occur on the last Sunday of each month, accompanied by the exhibition and sale of works of religious art and by live classical music. In this first edition, the menu will include marinated salmon accompanied by sour cream, guacamole and crostinis, heart of palm with roasted herb butter; terrine of eggplant, sun dried tomatoes and mascarpone, and egg terrine with roe capelin. 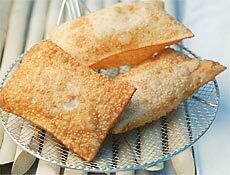 There will also be pastas, breads, cheeses, salads and a large table of sweets. 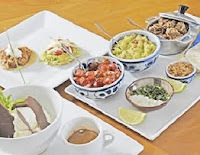 The brunch goes for R$ 99, with a glass of sparkling wine. During the banquet, guests can purchase or just enjoy religious works of art exhibited in the hall - among them, baroque sculptures of the seventeenth century. The brunch begins at midday after the 10 o'clock mass, where the monks sing Gregorian chants accompanied by an organ. 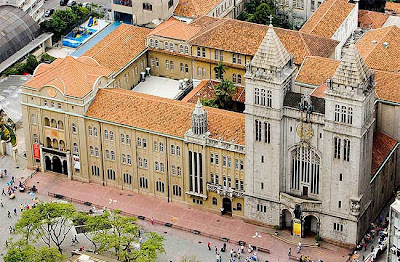 The ceremony takes place in the monastery church, called Nossa Senhora da Assunção (Our Lady of the Assumption), although many mistakenly refer to it as the Mosteiro de São Bento (Monastery of St. Benedict). 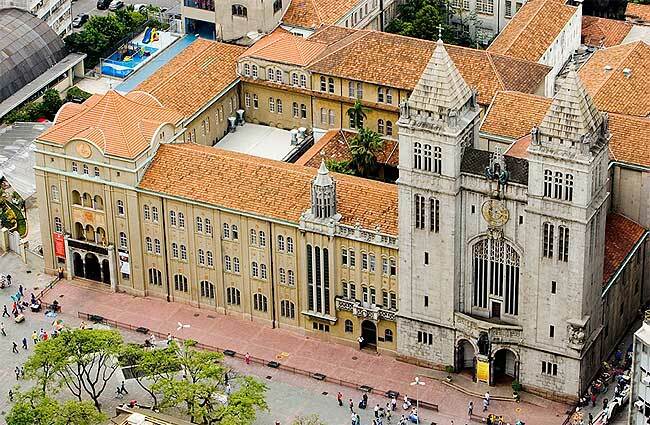 The order was established in São Paulo in 1598, when there was only the Jesuits and Carmelites in the same place where it is today. Of the original construction there's nothing left, because after decades of neglect it was important to perform a series of reforms. In the late nineteenth century, after Emperor Dom Pedro II prohibit ecclesiastical orders to received new novices, the monastery had a single resident monk, and the space was invaded by poor families, deteriorating. Benedictines sent from Germany arrived in the city to recover the premises, and the building, as we know, was completed in 1914. From time immemorial, a rare copy of a Bible of 1496 has been preserved as the library's treasure that only the monks have access. 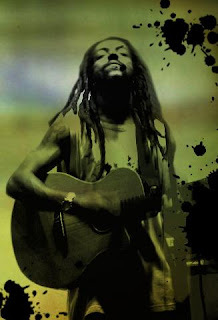 Rael da Rima got involved with Rap music in the 90´s when he was about eight years old. Born in a family of musicians, he believes that his family´s influences made it possible for him to feel comfortable enough to get into the music scene and express himself. His music isn't only about Rap, as he also creates melodies for his lyrics and brings a mix of different music styles into his compositions. For the first time, he was the one to produce his album and explored the idea of creating a mix of Rap, Jamaican and Brazilian music. The album is called “MP3 – Música Popular do Terceiro Mundo” and will be launched on August 31th, at Studio SP. On that night Rael da Rima will be accompanied by a band. It´s members are: Cauê Vieira (sax), DJ Will, Muka Batera (Drums), Bruno Dupré (solo guitar), Alexandre “Xandola” Moreira (guitar), Rato Bass (Bass), Bruno “Baby” Marcucci (keyboards). Enjoy the show! When: Next Tuesday, August 31st. From 9pm to 11pm. The name of this post could sound scary but actually it will be very fun for the lovers of skateboard. Tomorrow, Sunday August 29th, there will be a downhill slide championship organized by the Tribo Skate Magazine. After 21 years since the slope of the street Professor Paulino Longo (old street Varginha) entered the history of skateboarding with its national championships in the late 80s, casters will be consumed in the Slope of Death (Ladeira da Morte) officially this Sunday. 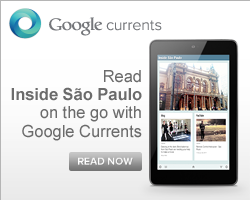 Good news for those using public transportation in São Paulo - and who does not use too. Last Saturday (21), the state government opened the doors of one more subway station, Vila Prudente, Line 2 - Green. Located at the Avenida Professor Luiz Inacio Anhaia of Melo, in the East Zone, the terminal is operating from 9:30 am to 3 pm, for free. 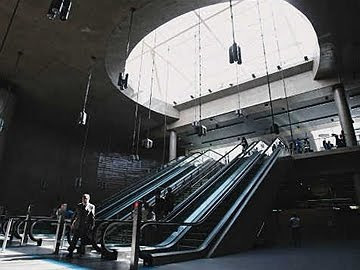 Inaugurated by the Governor Alberto Goldman and the Mayor Gilberto Kassab, this is the 59th Sao Paulo subway station. Other two should be open later this year: Butantã and Pinheiros, Line 4 - Yellow. For the next month is expected to interconnect the Green Line with the Station Tamanduateí, of the Companhia Paulista de Trens Metropolitanos (CPTM). It will be possible, for example, to board in Santo André and reach the Avenida Paulista in just ten minutes - today, by bus and train, that same trip takes at least an hour. 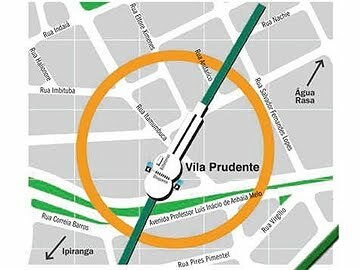 If the deadlines will be meet, Sao Paulo will have, in 2011, 71 km of subway track, 2 km longer than today. The investments of the state government in rail transportation, from 2007 to 2011, is of 23 billion reais. 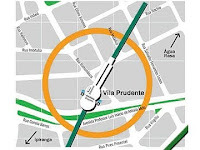 Located in an area of 14 000 square meters, the equivalent of two football fields, the Vila Prudente Station is one of the most modern of the network. The old turnstiles have given way to the automatic glass doors of 1.80 meters height. Built 30 meters deep, the platform for embarking and disembarking is sealed with glass walls that open only with the train has arrived, minimizing the risk of accidents. In its seventh edition, the 210 Restaurant Week restaurants will have their promotional menu from August 30 to September 12. During the period, full menus (entree, main dish and dessert) for $ 29 (lunch) and $ 39 (dinner) will be served, except drink and service charge. As the demand is great - the event expects to receive about 600 thousand people - make your reservation in advance. For more information visit the website: www.restaurantweek.com.br. 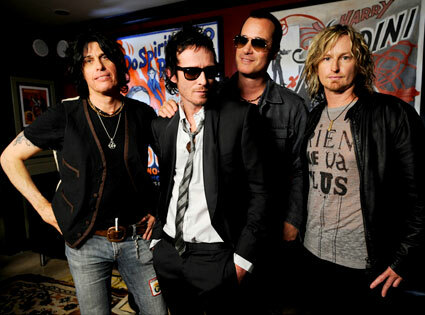 The band led by Scott Weiland brings the new album "Stone Temple Pilots", released this year. One of the most awaited bands in Brazil decided to cover the gap left when they canceled the concert two years ago. The Stone Temple Pilots arrive in the first half of December for concerts in cities and locations to be determined. If in 2008 the concerts were canceled "due to technical issues," now at least there is one more reason for the hard rock group finally come to Brazil. The band is bringing the album entitled "Stone Temple Pilots", released this year. The STP emerged through the grunge boom, but in California, far away from Seattle. On their first album, Core (1992), the song "Plush" got a Grammy for best hard rock performance. Stone Temple Pilots is the first album after the group got back together and also the first album since 2001. Three other American bands from 80s are also coming to Brazil. The band Dinosaur Jr. performs in Sao Paulo on September 28th and 29th. The Winger comes in October, and the Quireboys in November. 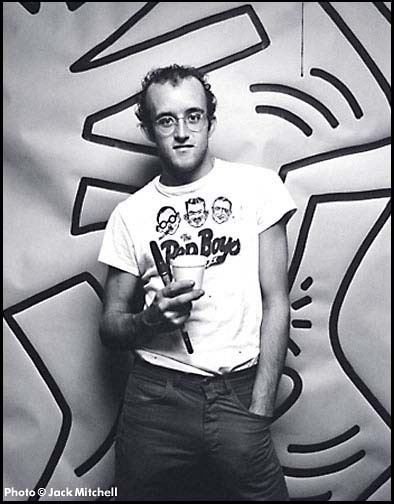 One of the icons of the second generation of pop art, the American Keith Haring (1958-1990) gains an exhibition in Sao Paulo. A selection of 94 works, including serigraphs, lithographs and woodcuts, plus videos, photos and personal documents are exposed until September. The artist is known for bold colors and the well-tempered, hyperactive, featureless and sometimes naked or chubby characters. Well assembled and arranged in series, the show has four works displayed in the window that opens onto the Avenida Paulista in an appropriate "conversation" with the street. 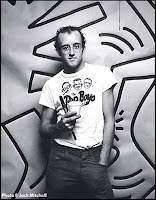 Haring is famous since in 1980, when he started drawing on blank advertising panels in New York subway. In 1983 he attended the 17th Bienal of Sao Paulo and even paint a wall on Avenue Sumaré later erased. What will be the best club next weekend? If you are in doubt, you can go to almost any city club just paying a ticket. 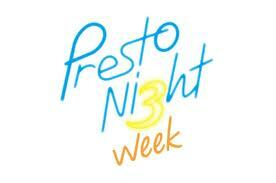 From today, Monday 23, 36 clubs in Sao Paulo come together in PrestonightWeek - a kind of Restaurant Week of nightclubs. Those who purchase the bracelet of the event will have total access in the clubs. There are two packages: one for the entire week and others just for Friday, Saturday and Sunday. "We want to create the chance of people discovering new places," says Michel Serebrinsky entrepreneur, organizer of the event. There will be famous DJs such as the Japanese house DJ Satoshi Tomiie, at the D-Edge (August 26), or Cockney Rejects whose show will be on Saturday (August 28) at the Inferno. On the weekend of August 21st and 22nd, the Ibirapuera Park celebrates 56 years of life. 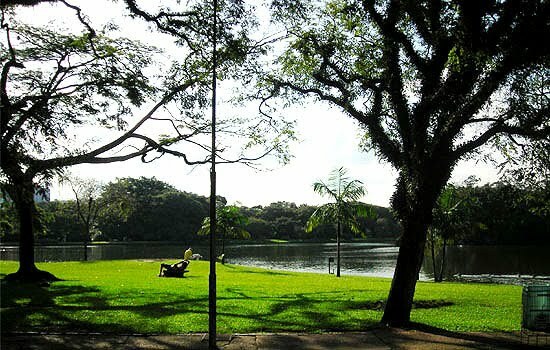 As one of the most beautiful green areas of the city of São Paulo will host show the group Funk Como Le Gusta, and workshops, meetings, photography, among other activities. 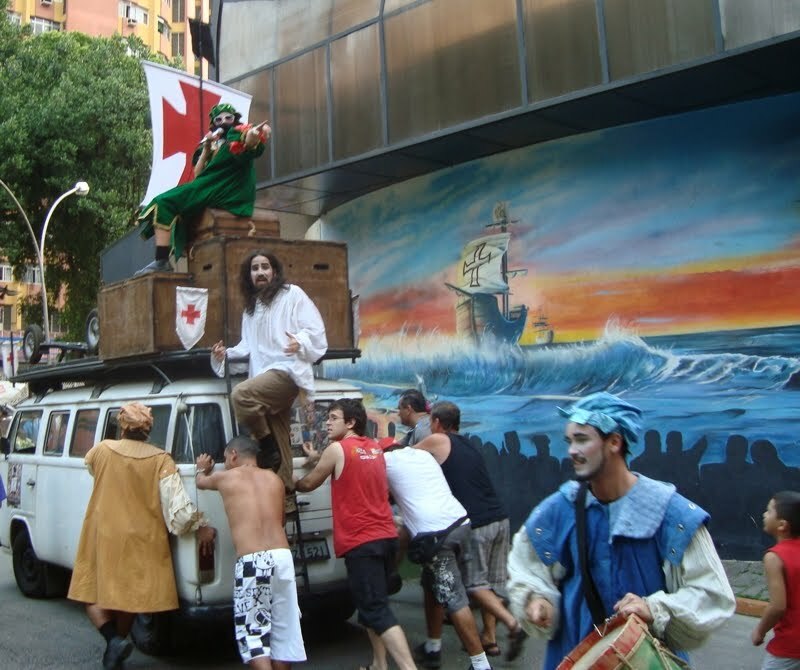 The birthday theme of this year is Life, Motion and Coexistence (Vida, Movimento e Convivência), which summarizes the welcoming function of park for the people of Sao Paulo. In parallel, several actions will be in activity - children's entertainment, a climbing wall, trampoline, circus troupe, Yoga. Throughout the day, the park will provide a structure with places for cyclists to park their bikes. The exhibition "Árvore de Ideias" (Tree of Ideas), which interacts with the public through the collection of ideas on how preserving the environment, is happening both days - Saturday and Sunday, from 10am. This is a good option to do something "green" during this week end in Sao Paulo. Have fun! Don't miss today the possibility to play golf in the middle of the city of Sao Paulo. Places like MASP, Viaduto do Cha, Praça da Liberdade (in the Japanese neighbourhood Liberdade) and Praça Julio Prestes (in the center, next to the metro station Luz) will be organized with everything you need to play golf. 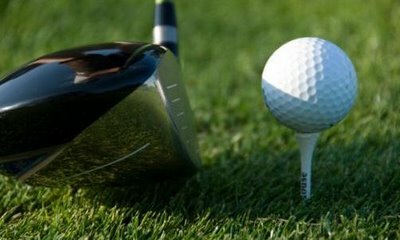 Besides watching the tournament, people can try to play with the help of an instructor and withou fear of making mistakes. The creator of the event will pay for eventual broken windows. Go and have a try! you may find out to have a talent. IDEA / Brazil selects highlights of Brazilian design between subscribers in 18 categories: Environment, Personal Accessories, Home, Commercial and Industrial, Communication, Interface Design, Office, Packaging, Strategy Design, Ecodesign, Entertainment, Computers, Jewellery, Leisure and Recreation, Science and Medical, Research and Transport. Designers and companies from all over Brazil participate in the show. 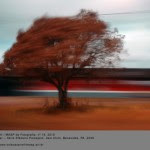 The 78 finalists are exhibited at the Conjunto Nacional till August 28. The collection Pirelli / MASP Photography reaches its 18th edition with 70 works of photographers from Sao Paulo, Rio de Janeiro, Minas Gerais, Bahia and Pará, and the American George Leary Love, who served in Sao Paulo from 60ies to 90ies and will receive a posthumous tribute alongside Luiz Hossaka. 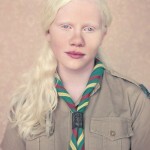 The exhibition brings in São Paulo, in this edition, the pictures of the publicist Ricardo Barcellos, of the photojournalist Marlene Bergamo and of Gustavo Lacerda, with works from the series Albinos, of 2009. The use of technological resources in the photography is covered by the works of photographers such as Rafael Jacinto, Pio Figueroa and Joao Kehl and the producer Carol Lopes from the studio Cia da Foto. Since its creation in 1990, the collection brings artists with significant representation and influence in Brazilian photography, chosen by a committee formed by Boris Kossoy, Thomaz Farkas, Rubens Fernandes Junior, Mario Cohen and Piero Sierra. Today an almost forgotten genre, the western, had its decades of glory in the American cinema and also had good producers in Europe. To raise the dust, the Centro Cultural Banco do Brazil starts today, Wednesday 18th, a cinema festival dedicated to the Italian Western also known as Spaghetti Western. The selection includes twenty titles produced in Italy between 1964 and 1976. It was a period in which the world got to know the talent of directors like Sergio Leone (1929-1989) and actors like Clint Eastwood, Franco Nero and Giuliano Gemma. 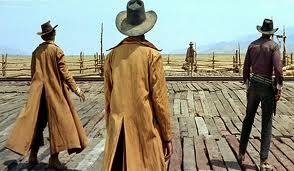 Of Leone, for example, will be shown five films, including the masterpiece "Once Upon a Time in the West", 1968. Entrance is R$ 4.00. Check out the program. "De Hollywood para a Moda" this is the name of the exhibition host in the mall Iguatemi from August 16th to 30th. It is a selection of pieces that are part of a collection of over 60 000 clothes of French and Hollywood cinema, owned by the American designer Gene London. Classic pieces like the dress that Marilyn Monroe wore in "The Seven Year Itch" and "The Misfits" will be there. The long velvet dress of Vivien Leigh in "Gone With the Wind" will also be exposed next to the model used by Rita Hayworth in "Gilda" and the gold dress with crinoline for Grace Kelly in "To Catch a Thief."